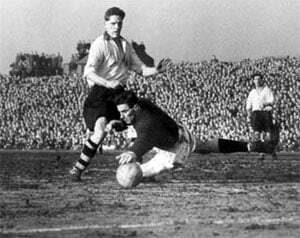 Port Vale stun the cup holders in one of Vale Park’s finest games of all time. Blackpool were the current cup holders and their star-packed 1st Division squad contained six current Internationals alongside Stanley Matthews. Typically, as one of Vale’s most important matches got closer and closer, the Burslem weather got steadily worse and reports stated that it rained solidly for a week before the match. The Vale Park pitch was a quagmire but interest still remained high as thousands queued for tickets. However, surely the threat of 1st Division cup-holders Blackpool with their star studded line-up would be too much? 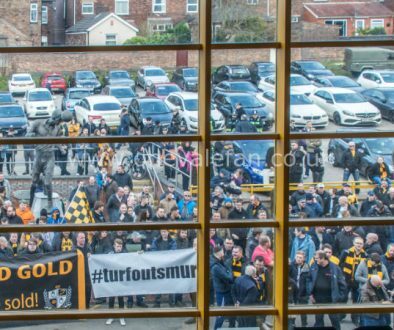 The match attracted a sell-out crowd of 42,000 with many thousands more locked out. A committed Vale side refused to let Matthews and the rest of the Blackpool stars into the match. In the 14th minute Dickie Cunliffe broke clear on the left and his shot was deflected out for a corner. From Cunliffe’s kick, inside-forward Albert Leake rose to head the ball in. 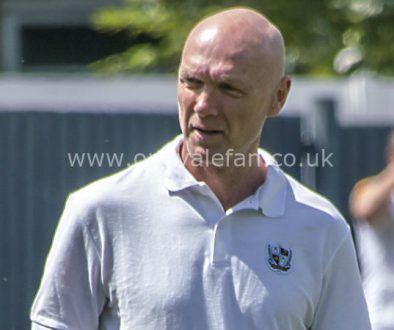 Vale made it 2-0 in the 26th minute as Cunliffe again started the move and laid the ball to centre forward Basil Hayward, whose low cross was driven into the net by Leake. Blackpool never got back into the game as Vale cleverly forced Matthews away from the drier edges of the pitch and into the muddy middle where he met a massed defence. Late on, Ken Griffiths hit the post for Vale, while Basil Hayward was fouled in the box only for no penalty to be given. The national press praised “Vale’s hard-working display” and called it a “triumph of teamwork.” The Iron Curtain team went on to reach the FA Cup semi final that year and a record breaking promotion. 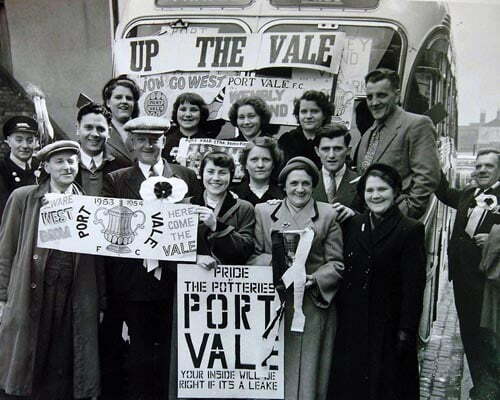 For just one season 1953/54 Port Vale were the greatest team in the land, Third Division North maybe, but invincible, Blackpool, cup holders, first division contenders with players like the immortal Stanley, Stan Mortenson, Jack Mudie and Harry Johnson managed by another Potter Joe Smith. What a day around 50,000 people at Vale Park, Blackpool dropped Mortenson and brought in an inside forward named Stephenson (destined to come to Vale Park a couple of years later). What a game, certainly the greatest in the Vale’s history, we won by two goals to nil, and we never stopped shouting and cheering from the first minute to the last. 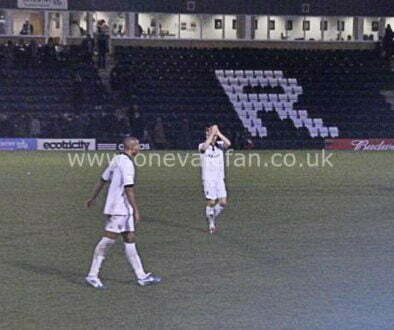 About the game I remember very little just the feeling that on that day in that season the Vale could have beaten anyone and they did (except West Brom but that was a fix they did not want a third division team winning the FA Cup).